After a certain time, it is normal to detect strange smell coming out of your carpet. The reason is that it is usually are with heavy duty and it is exposed to a great amount of soiling and dirt. The regular deep cleaning is a factor, which should not be underestimated. It is as important as the washing of your hands. To offload this heavy cleaning duty from our busy customers in South East London, we established our company and we versed our expertise in carpet cleaning services. The remarkable results, which our customers highly praise, are due to the precise work of our team. The cleaners, who we co-operate with, are trained and assiduous people, who always go for the safest and most efficient way. 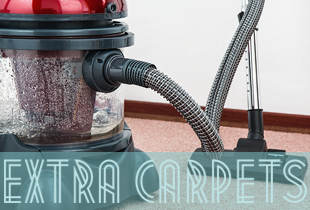 They undertake no risks and all of the cleaning methods we utilise are approved by carpet manufacturers. We have all the needed cleaning necessities at our disposal, which is of great importance in this business. The intact condition of the delicate surface is directly dependent on the quality of the cleaning products and tools. We take pride in our professional cleaning arsenal, which uses no chemicals. This is absolutely safe for the health even of babies and pets. Every provider will tell you that their methods are the most efficient. But the truth is that you can’t be sure what is best if the manufacturer doesn’t approve it. Gladly, we work in accordance with approaches, accepted as safe by specialists. That’s why we are sure in the best performance. We have reached the top in this trade thanks to our constant hunger for knowledge and success. Nothing has ever been too big for us. We apply the so-called hot-water extraction method for disinfection. For the most efficient cleaning of the stains, we pre-treat them with special detergents. After that, we deodorise and dry the soft flooring. The absorption of the moisture is important for the intact condition of the flooring because the water and the soapy residues can cause damages. Ask our customer care agents for more detailed information and an estimate for free. When the hoovering is not enough, the time for our carpet cleaning services is at hand for all the customers in South East London. Hire us and rejuvenate the tar-covered soft flooring!